There is always a debate on what this is called. sauce, gravy? Is there a right and wrong? A am big Sauce fan! Mom, Dad, Grandma all from Rome Italy and Bari Regions called it sauce. Period. Grandma came off the boat to Ellis Island and then to Utica New York. Sauce was all we ever knew it to be. She said in Italy it was called sugo. Sauce it was never looked back or thought about it again, till now. I for one love a thick easy Italian meat sauce. Another favorite is Mom's East End Sauce with sausage. What's Sauce and Gravy anyway? The question (and sometimes, the passionate debate) has been brought up to me many times. Why some call whats on top of their macaroni, pasta "Sauce or Gravy" ? It goes without saying that they are both basic words in the American vocabulary, but accurately understanding what each word really means can be the very different sometimes. So What's This Debate All About? Depending on what region of Italy your relatives came from (most immigrants from the North never began using the word gravy in any sense once in America). It was always sugo which is sauce in Italian. Though the term is used in all major cities, the original practice of calling "sauce" gravy started in the Long Island, New York region "Port Washington." A section of Long Island mostly made up of Italian immigrants at the turn of the century. Though some American Italians did not refer to it as "sauce", only gravy depending again where it started in their family history. It became a mix of both in many area's. This term of gravy was then carried into New York City and the northern parts of New Jersey. From there, it migrated into cities such as Philadelphia, Baltimore, Boston And Chicago. It's not a Region in Italy thing or the area you grew up in. The controversy continues to be a constant battle on who is right. It really doesn't matter as long as the finished product brings joy to the table. Our family who was from Bari and Rome, Italy call it sauce, period. We also never use onions in our sauce. Italian American make it all kinds of ways. They called it sauce, sugo. NOT GRAVY ever! There is no oregano in sauce only on pizza in Italy, here in America some of us love oregano. Here's what I think. Make it how you like it and who taught you traditions. If you love those things even though it's not the original it's your original. Carry on your family traditions and history. Many traditions have changed over the years and will continue to change from generation to generation. Reading the history of food in Italy is not the same in America. Gravy is “unique” to South Philly Italians. By “gravy” it means what most people call “sauce” in my home town Utica New York, it's sauce always sauce and will never be called gravy. Gravy is for Turkey, Beef poured over mashed potatoes. I started asking around and taking polls. Most everyone that I knew called it gravy, by which they meant specifically the meat sauce that they had on their pasta growing up in South Philly. Most people I spoke to did know of a “marinara sauce.” That was a quick sauce, with no meat. But some people called that gravy, too. Here is East Utica New York, I met no one that called the pot you see below as gravy only sauce. I kept interviewing different folks from Italy family and American friends from all over. 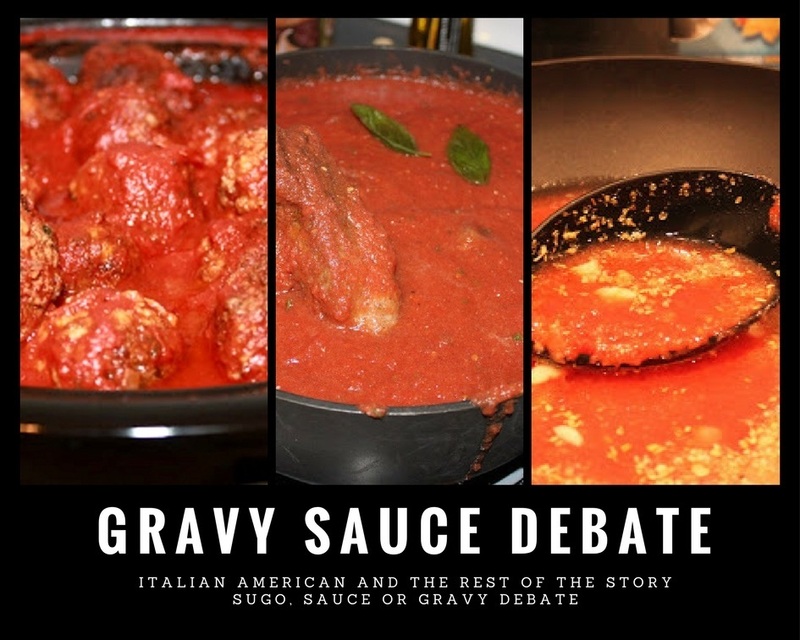 People/ Italians who came to the United States after the war did not call it gravy, they called it sauce (salsa, ragù, sugo). I have gotten in several discussions with many reasons why every family may have a different version of whats right and wrong, but our family calls it sauce and in Upstate NY, (Utica/Rome area to be exact where I am from,) they called any topping for macaroni, sauce period. As a matter of fact some were totally disgusted by the word gravy and would take offense by referring to it as gravy and argue about this for hours. They would get so passionate about it, many would argue they were more Italian than you are were. Gravy was something you would have on Thanksgiving with turkey but not on pasta, never, ever, perhaps the following will provide a bit more information on why it was referred to as gravy to begin with by some, but never to others. They don’t have or use the term “gravy” in Italian. If it's referred to as salsa, ragu or sugo, they mean “sauce,” meat or no meat. In America, the term gravy referred to the sauce or dressing used for meat or fish. So it could be that the early Italian immigrants, cooking meat in their tomatoes, and when in American doing like the Americans did, did the right thing and called it gravy. Whatever you want to call it is fine with me. I love it. Sauce, sugo here in our household. I don't think it matters, however they are plenty of folks that will argue the point! Mangia! Enjoy! Doesn't matter. Italian food is the best food in the world! So in conclusion, what is the simple right answer, gravy or sauce? The debate will never end. No really good answer, it's a family thing. Well, there isn't any . Or, really, the answer is, it’s okay to use both phrases. 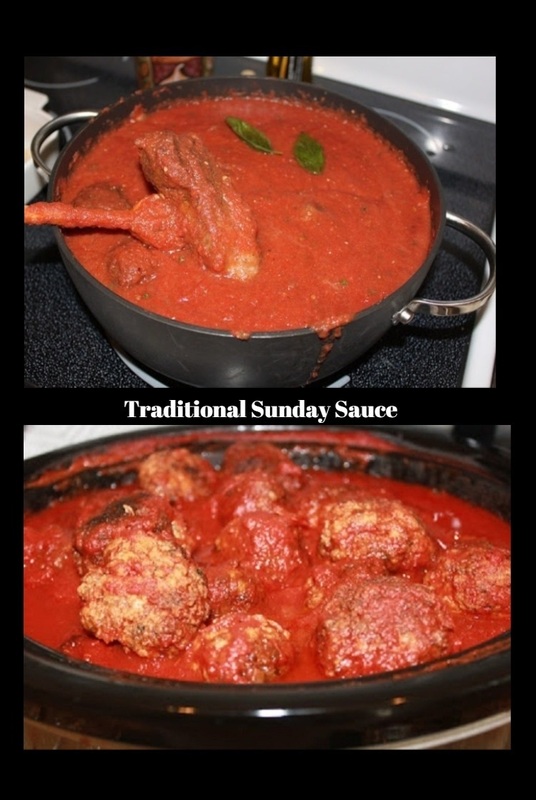 Again, our family within two regions (Rome Italy and Bari) call our sauce, "Sauce". No one in Italy I have interviewed called the pot of tomatoes anything but sugo, which is sauce in Italian. If you are still not convinced and still want to call your tomato sauce, gravy, that’s perfectly fine with me, it's who you are right? As long as your preparing it with love and care just like your mama, grandmom, and great-grandmother, aunt whomever your back round originated did, you can’t go wrong. It is true that recipes have changed through the years. A good pasta with tomato sauce is a classic though and never seem to change much. My favourite is spaghetti al pomodoro with fresh basilico. Che delizia ho gia' fame. Yum! Claudia, love your take on the debate. Even in Alabama, we call it sauce, and we are not Italians. I do believe some recipes do stand the test of time and that is why you will never see much change in the classics. It was sauce in Queens, New York. 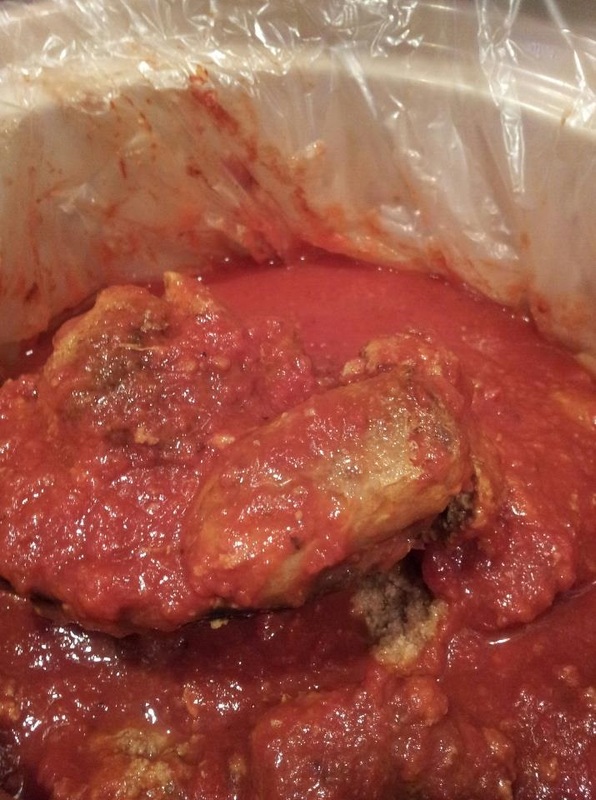 Tomato sauce simmered with pork neck bones. Many things changed - the onions, the garlic, the herbs, the pasta - but it always started with pork neck bones. I love how every region, every household really had its own version. 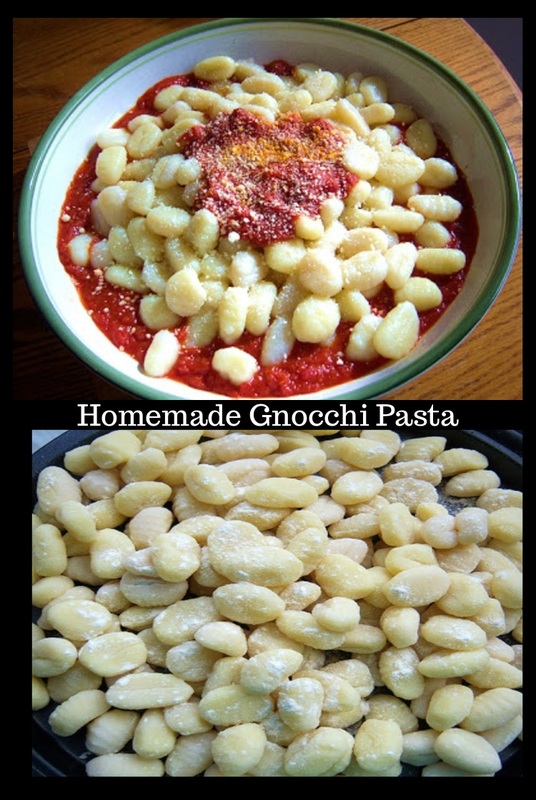 But for so many, Sunday remains the traditional pasta day.